Calvary continues to be an open and welcoming place for all of God's people to gather. We are also aware of our responsibility to be observant of our surroundings. 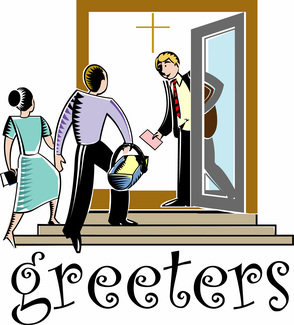 Toward that effort, we invite those who would serve the church in this way to join the Layered Greeting Ministry. Please arrive 30 minutes before your shift and check in with the Office Point Person to receive your assignment. In order to volunteer you must complete the Layered Greeting Ministry training. Please contact Terri Giambarresi ([email protected] or 301-471-6060) with any questions.